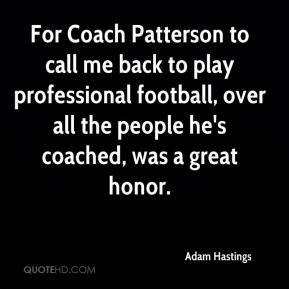 For Coach Patterson to call me back to play professional football, over all the people he's coached, was a great honor. 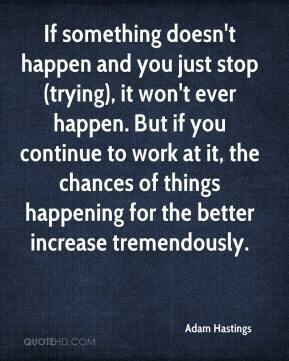 If something doesn't happen and you just stop (trying), it won't ever happen. But if you continue to work at it, the chances of things happening for the better increase tremendously.